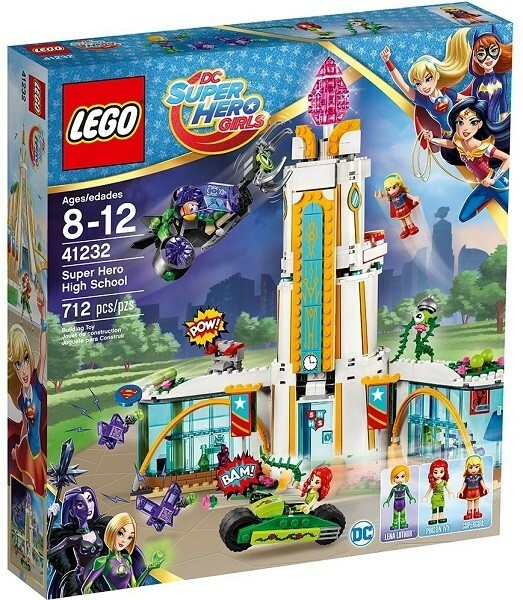 Join in the action-packed LEGO DC Super Hero Girls world as Supergirl and Poison Ivy battle Lena Luthor! 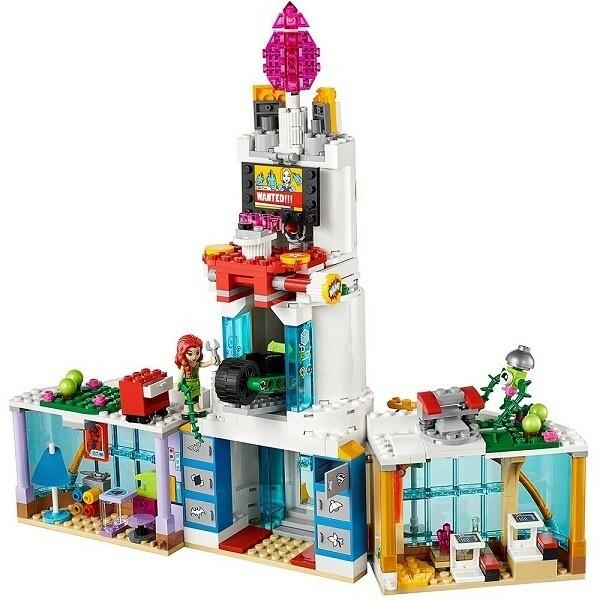 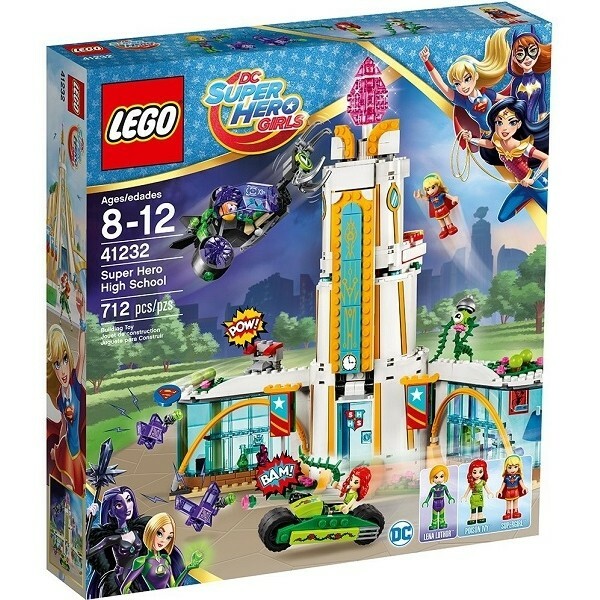 This great 712-piece set features three mini-doll figures, a three-level school building with swiveling classrooms, cafe, extending ramp, chain and disc shooters, Poison Ivy's motorbike and Lena's jet with rotating thrusters and a gripping claw at the front, plus two hypnotized purple Kryptomites. 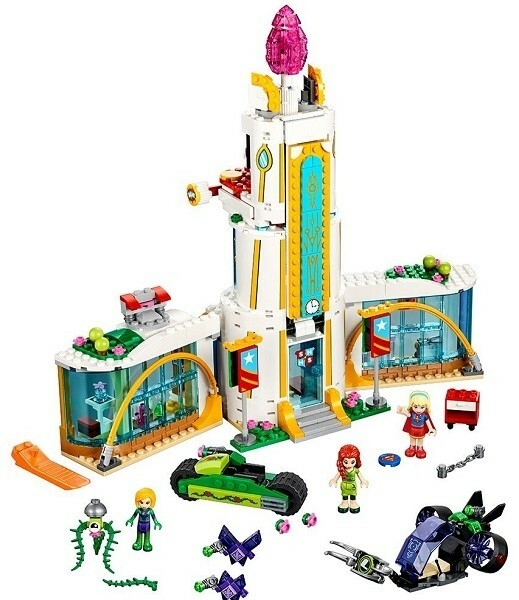 For more products featuring characters from the DC universe, visit our DC Comics Collection.